Wow!!! SPAMALOT show week. What an amazing week it has been. 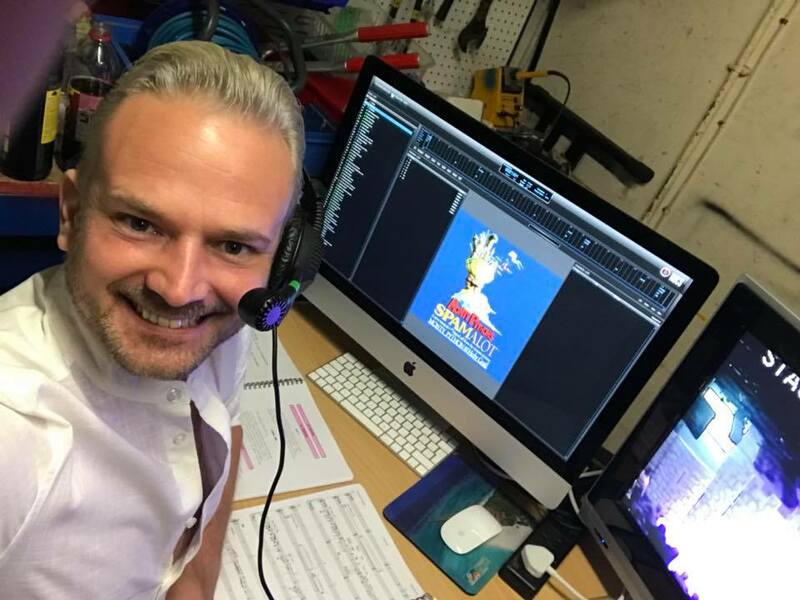 I’m Stuart, the Musical Director, and it gives me huge amounts of pleasure to be able to write this blog. From opening night through to closing night, this has been an awesome week in history that will stay with SMP for a long time. Opening night on Wednesday set the tone with SMP’s first standing ovation and the rest of the week received audience responses such as “better than the West End” and “funnier than Broadway”. Nobody expected to hear that kind of feedback and it was gratefully received by the cast, technical team, stage crew and production team. It was a wonderful experience to have musically directed the cast through their shows this week and having a view of the stage meant that I got to watch them all shine in this spectacular production. The hard work and energy that they gave through the 4 shows really made this a show to remember and had our audiences laughing, singing and getting up on stage with them. They were superb and were a great example of local talented people giving heart and sole to something they love, amateur dramatics. It almost seems wrong to call it that. The standard was extremely high and the contributions given from the production and technical teams and stage crew were of a professional level. The week didn’t go without its glitches, some of which were mine, and saw panic and franticness amongst everybody at one point or another. From sticky backing tracks, to delayed technicians due to train trouble, to burnt costumes, falls and scrapes, missing props, onstage corpsing, wig malfunctions….we had it all. However, this great group of people showed immense amounts of support and we were always only ever one hug away from everything being better again. This week showcased some new talent for SMP and we hope that you all enjoyed seeing the new faces, and we hope that they will stay with SMP for future shows. We were lucky enough to see some standout performances from the newbies and we are encouraged that more and more local talent want to get involved and we were delighted to have had them on board. Through this process we have come to refer to each other as the Spam-Fam. A family of dedicated, hardworking committed people that want the best for each other, who like to support each other and nurture talent. This family have produced an almighty show, with great passion, unfaltering talent and above all, huge heart. I am very happy and proud, and now signing off as their Musical Director. It has been epic!!! !